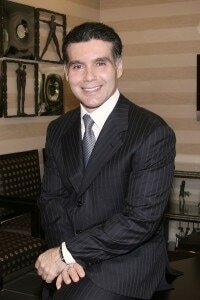 Dr. Rafael Cabrera has been practicing Plastic and Reconstructive Surgery in Boca Raton since 1997. He is on staff at Boca Raton Community Hospital. Dr. Cabrera is board certified in general surgery and plastic surgery. He is an active member of the American Society of Plastic Surgeons, the Palm Beach Society of Plastic Surgeons, the American Society of Laser Medicine and Surgery and a Fellow of the American College of Surgeons. Dr. Cabrera currently serves on multiple hospital committees including Medical Ethics Committee and Operating Room Committee. Dr. Cabrera received his BA with Distinction from Cornell University in 1985 before graduating from New York University School of Medicine in 1989. Dr. Cabrera completed his Plastic Surgery Residency at the New York University Medical Center Institute of Reconstructive Plastic Surgery and the prestigious Manhattan Eye, Ear and Throat Hospital. Dr. Cabrera also completed a Research Fellowship in Scarless Wound Healing at New York University Medical Center. Dr. Cabrera has authored over 20 textbook chapters and has presented his findings at numerous events nationally. Dr. Cabrera’s ongoing research experiences include participation in a national silicone gel implant study. Dr. Cabrera is featured in Guide to America’s Top Surgeons. Active in the community, Dr. Cabrera contributes time and support to the Boca Raton Community Hospital’s Foundation, the National Alliance for Autism Research, the Boca Raton Museum of Art, Cystic Fibrosis, Florence Fuller Child Development Centers, The Children’s Unicorn Foundation, The Jewish Federation of South Palm Beach County and other non-profit organizations. Dr. Cabrera’s compassionate and sensitive approach to charitable endeavors is reflective of this commitment to total patient care. Dr. Cabrera and his wife Lori have two daughters, Chloe and Gabrielle, and one son, Aaron.